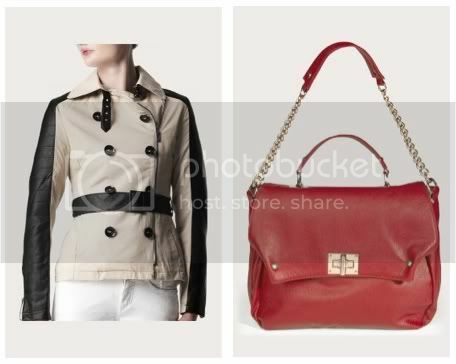 Some of my favorite items from the online web shop Shoeby, which has a free shipping service 'till 29 April. Unfortunately, it's only for Belgium, but I bet they'll expand it in the future. The half leather coat would fit my rock 'n roll soul perfectly, the red bag would be perfect to put all of my unnecessary stuff in, the sunnies have the best shape ever and I'm totally digging the dotted print on the sleeves of that blazer. 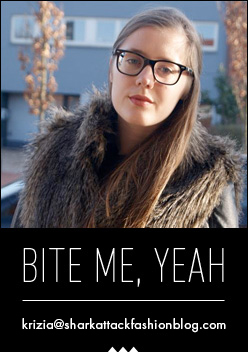 So, if you're living in Belgium: start benefiting of the free shipping, 'cause Shoeby has the best affordable prices! 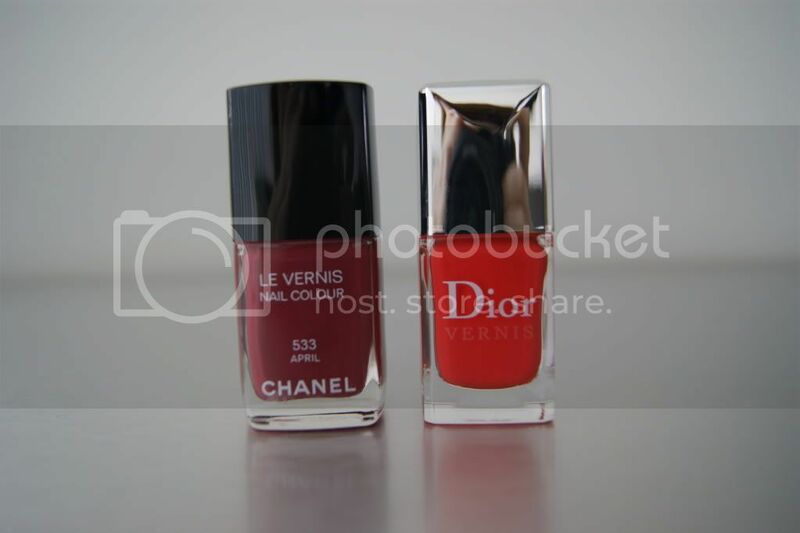 I've already shown you the Dior nail polish in my previous post, but I also got myself the Chanel 533 April nail polish. Can't wait to try that one out too! I've received these temporary tattoos to try out. Apparently, they're becoming a big hit in the US and in Europe. Can't wait to see how they look! 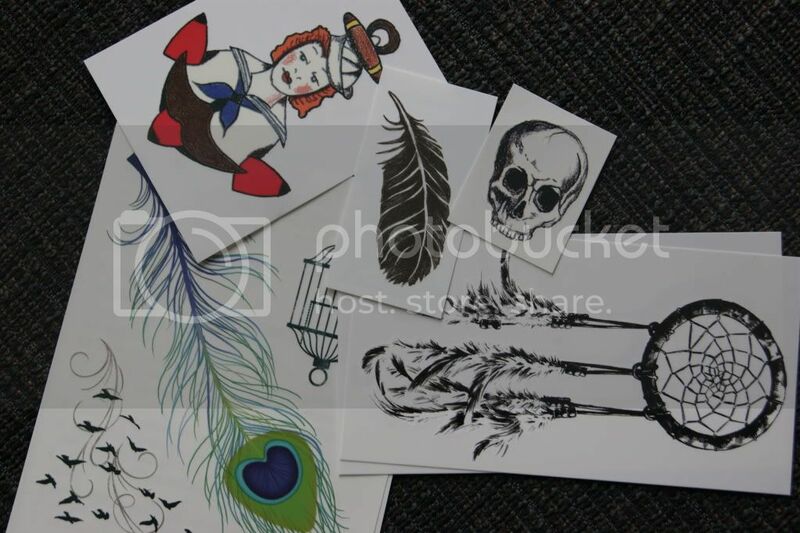 I'm planning to get another (real) tattoo, so these are perfect to see how it all looks and if it's pretty enough to get myself a real one in that place on my body. 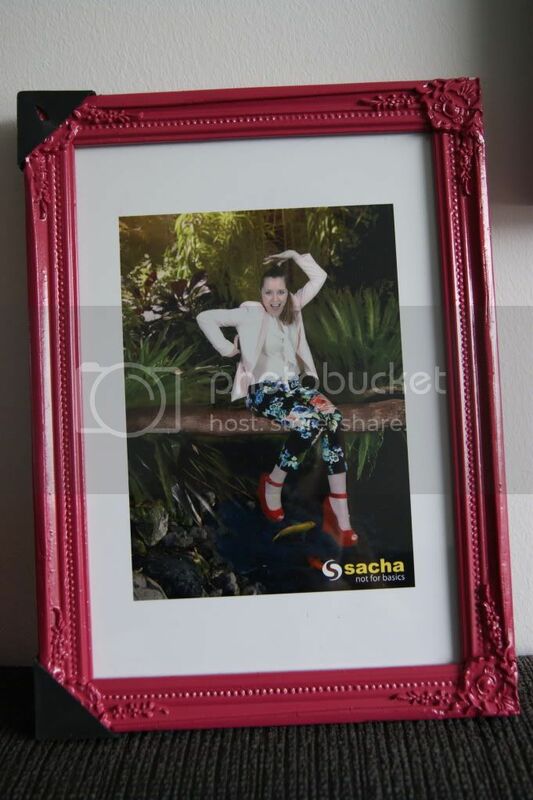 Sacha sent me this picture of myself, wearing a pair of their shoes during a bloggers event. I absolutely love it. This definitely deserves a nice place in my house. A preview of my next outfit post. The friendly people at Smart Buy Glasses gave me the opportunity to choose one of their sunnies, so I opted for these Prada babies. I can't wait to receive them! What do you think? Really like the polishes - the Chanel one looks lovely, can't wait to see what it looks like on your nails! Die jas met het leer is super mooi! EN die prada sunnies zijn amazing!!! Loving this picture ! Can't wait to see your new post with your Isabel Marant jeans ! Yes, i recognize ! 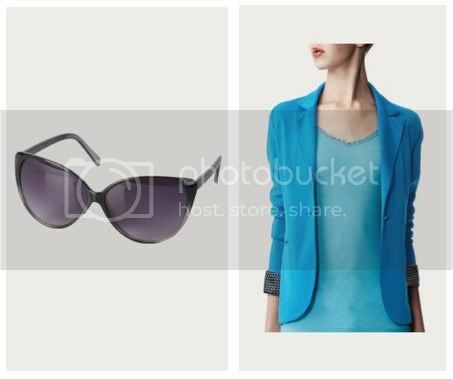 Love the blue jacket in the top ! Ps : I'm so jaloues without the new shades you will have !!! Love you ! Die foto van u van Sacha is echt één van de leukste foto's ooit! Stom dat je niet hebt gewonnen!